The largest and the capital city of Antigua and Barbuda, is St. John, a country which is located in the West Indies in the Caribbean Sea. It is placed at 17°7’N 61°51’W and has a population of 24,226 (2000) It is the chief port of the island of Antigua and the commercial centre of the nation. The skyline of St. John is dominated by the magnificent white baroque towers of St. John’s Cathedral which was built in 1845 and the church is its third incarnation since the 1683 and 1745 earthquakes which had destroyed the original structures. The towers are the first sight of Antigua with many visitors who arrive by boat. St. John is a pleasant hub full of life and an ideal place for shopping and dining for many visitors. The Museum of Antigua and Barbuda isa site of interest of the early history of the island which is housed in the colonial Court House. The museum displays Arawak as well colonial artefacts which were discovered on archaeological sites on the island and features life size replica of an Arawak house, models of sugar plantation etc. In St. John, the farmers markets, candy coloured architecture and the ruins of sugar plantation draw the attention with a kaleidoscope of coral reefs with adventures in sailing. 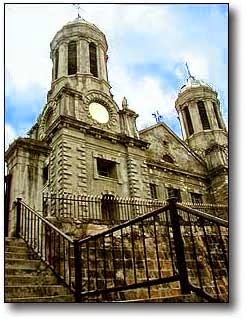 Visitors get the privilege of glimpsing the white baroque towers of St. John’s Cathedral, that dominate the skyline before they are joined on a cruise passenger on a Heritage Quay shopping excursion. One gets the opportunity of experiencing the island’s early cultures, or visitsto the Museum of Antigua and Barbuda which is housed in a 1750s colonial courthouse. The settlement of St. John’s had been the administrative centre of Antigua and Barbuda since the islands was first colonised in 1632 and became the seat of the government when the nation gained independence in the year 1981. St. John is also one of the most developed and cosmopolitan municipalities in the Lesser Antilles and is famous for its various shopping malls and boutiques all over the city with designer jewellery and haute couture clothing. Besides this, there are also several independent locally run shops selling a variety of fashionable stuff. This country attracts the tourist from many exclusive resorts on the island from cruise ships which tend to dock in its harbour at Heritage Quay and Redcliffe Quay many times a week. One will find fresh produce of fish and meat on the south-western edge of the city which is sold daily. One can also visit the Antigua Rum Distillery which is located at the Citadel and is the only rum distillery on the island with annual production yield being more than 180,000 gallons bottled. To the east of St. John is the Sir Vivian Richards Stadium which is a multi-use stadium in North Sound, created mostly for cricket matches and have also hosted matches during the 2007 Cricket World Cup. The Antigua Recreation ground and Antigua and Barbuda’s national stadium is also located in St. John’s. The strongest presence in the city is the investment banking industry with many major world financial institutions having their offices in St. John, Antigua.